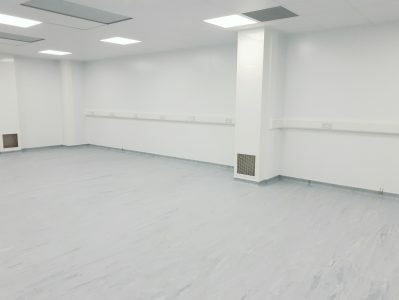 For a surgical instrument supplier, we were appointed to design and build an ISO 7 clean room facility for our client to manufacture products in-house. 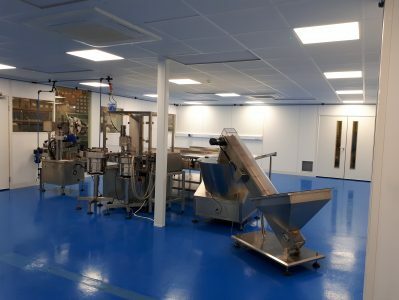 The facility included airlock with step over and wash, customised benching, trolleys, temperature control and filtration system. 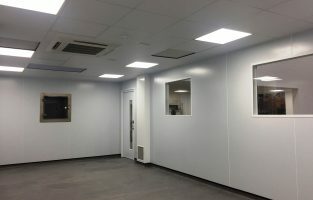 As part of the project, we were asked to provide a quality office with temperature control for carrying out quality assurance procedures.